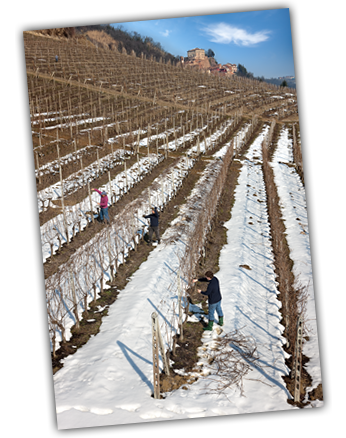 The vineyard encapsulates the winery’s soul and productive philosophy. Over many decades, the Morra family has selected the best plots of land, those able to produce healthy, flavourful grapes. The focal point is still, as always, Castellinaldo, where some of the most prestigious crus - San Pietro, Castlè and Sräi - are overseen by expert hands and skilled eyes. The vertiginous slopes in Canale and Vezza complete this mosaic of terroirs. The typical sandy soils include marly sections and chalky veins, which encourage the full expression of the three main grape varieties and the local Favorita, a rare native white grape historically grown by the winery.